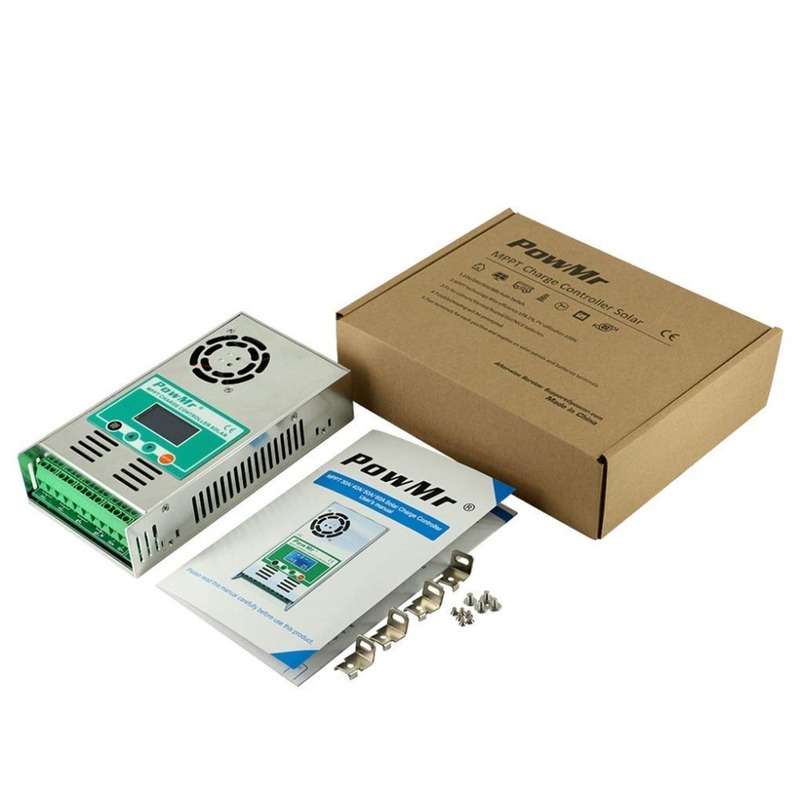 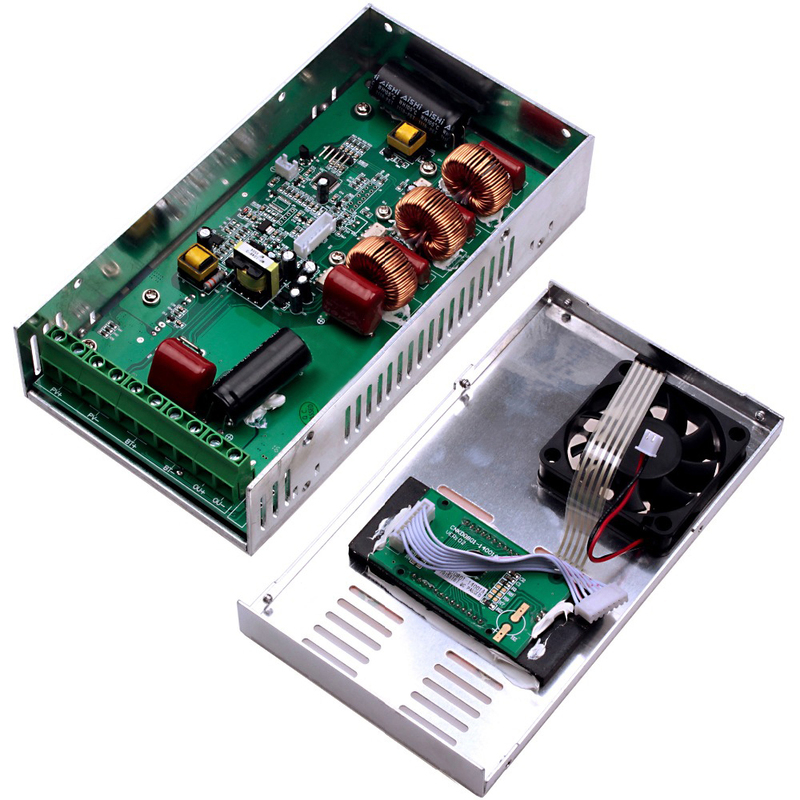 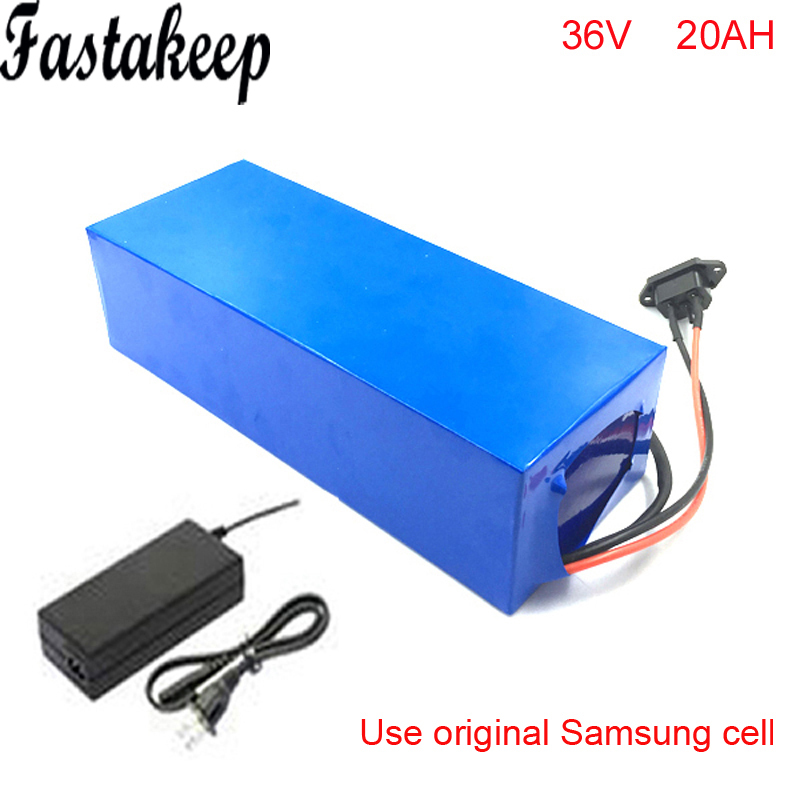 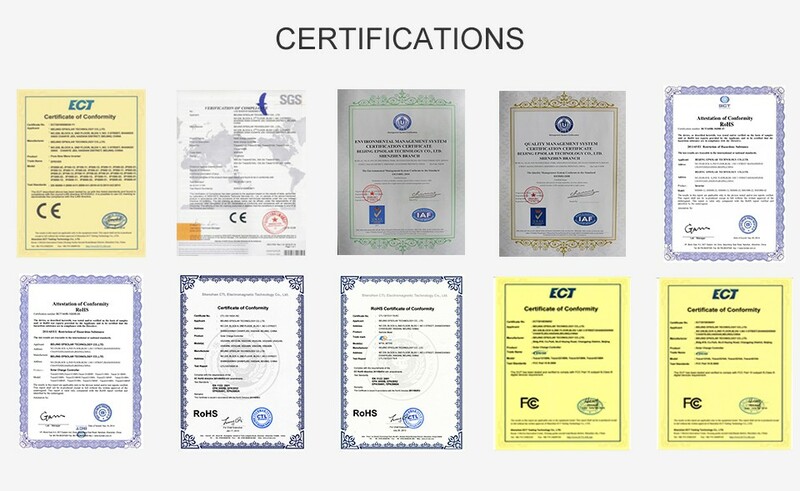 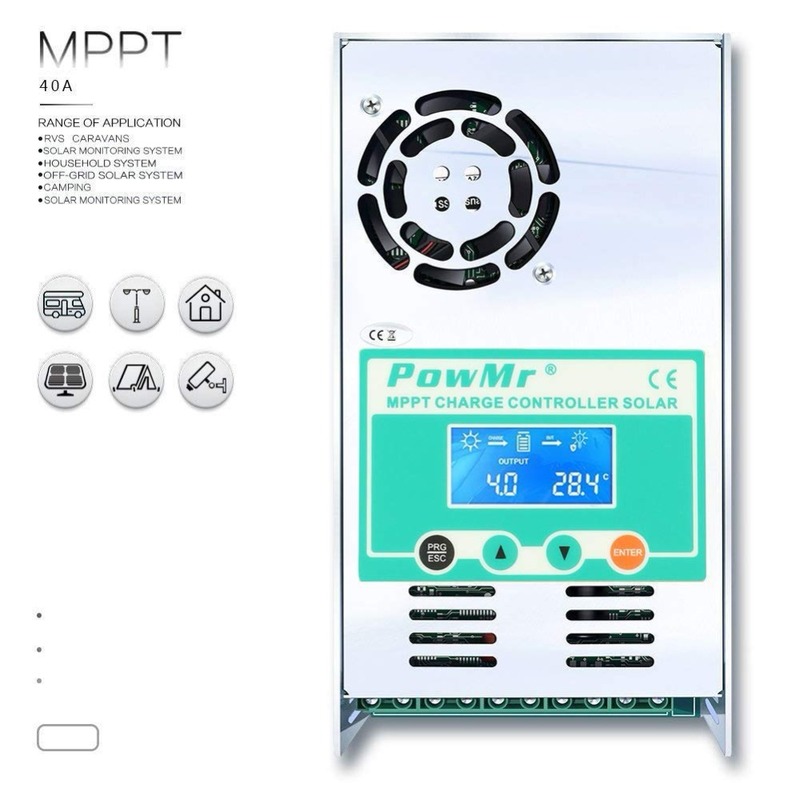 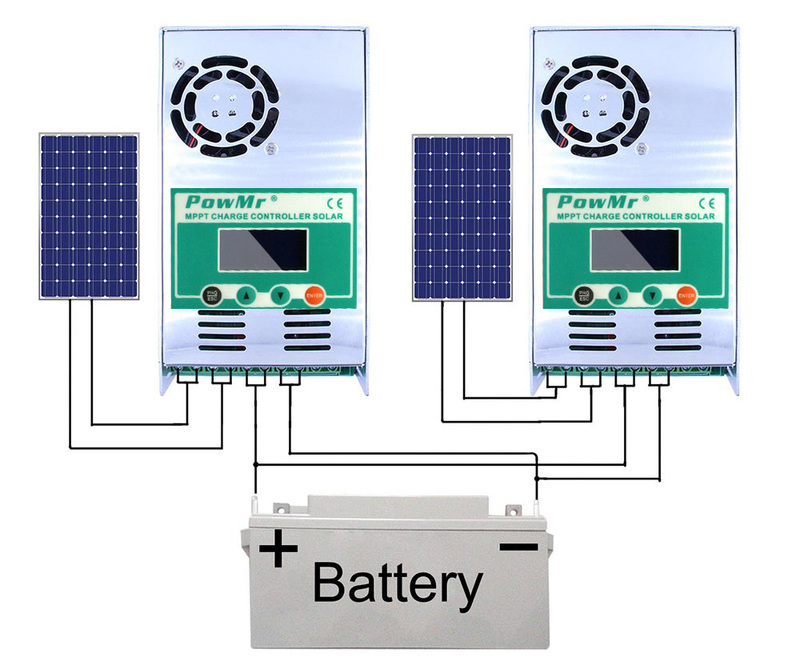 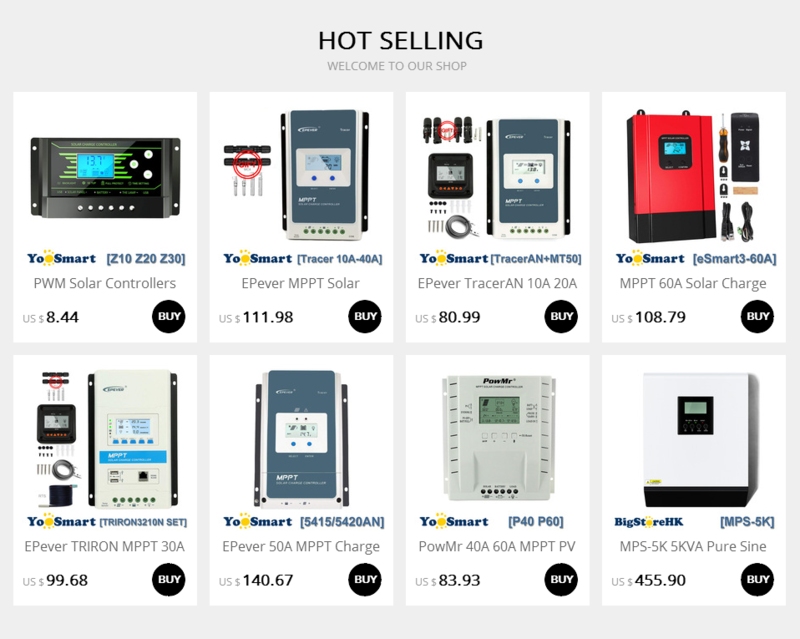 ❶Software Update Version 100% 40A or 60A MPPT charge controller Intelligent, Max efficiency ≥98.1%, PV utilization ≥99%.Built-in DSP controller with high performance Automatic battery voltage detection 12V/24V/36V/48V,Make sure batteries\' voltage more than 12V to let controller has enough power to Self-detection when connected to the controller. 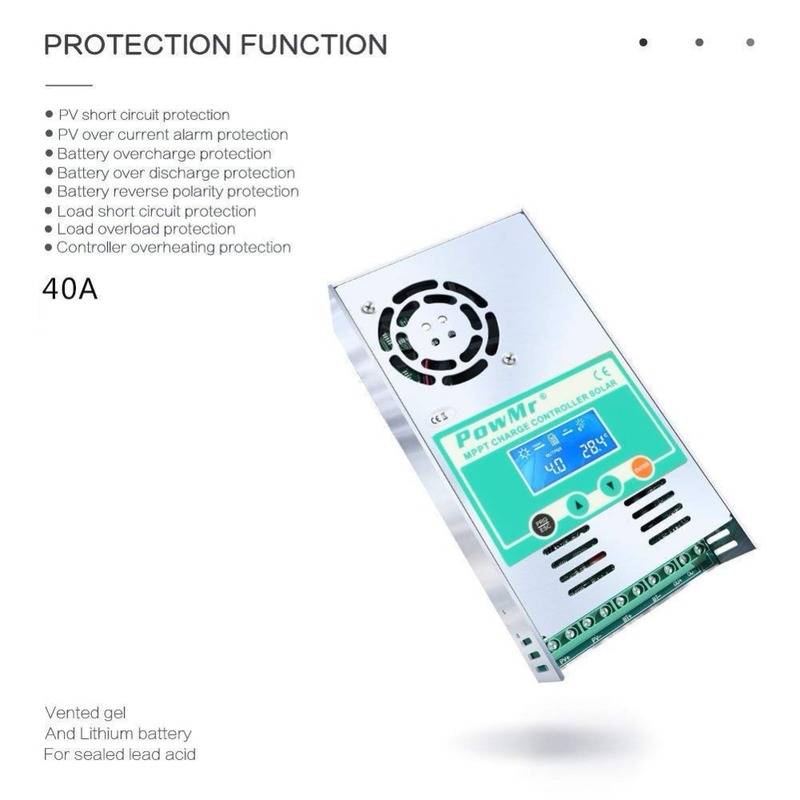 ❷Fit USER(can be set Lithium, Lifepo4)/Vented/Sealed/Gel/NiCd battery.User programmable for absorption voltage/Floating voltage/Low voltage disconnect./Load Timer. 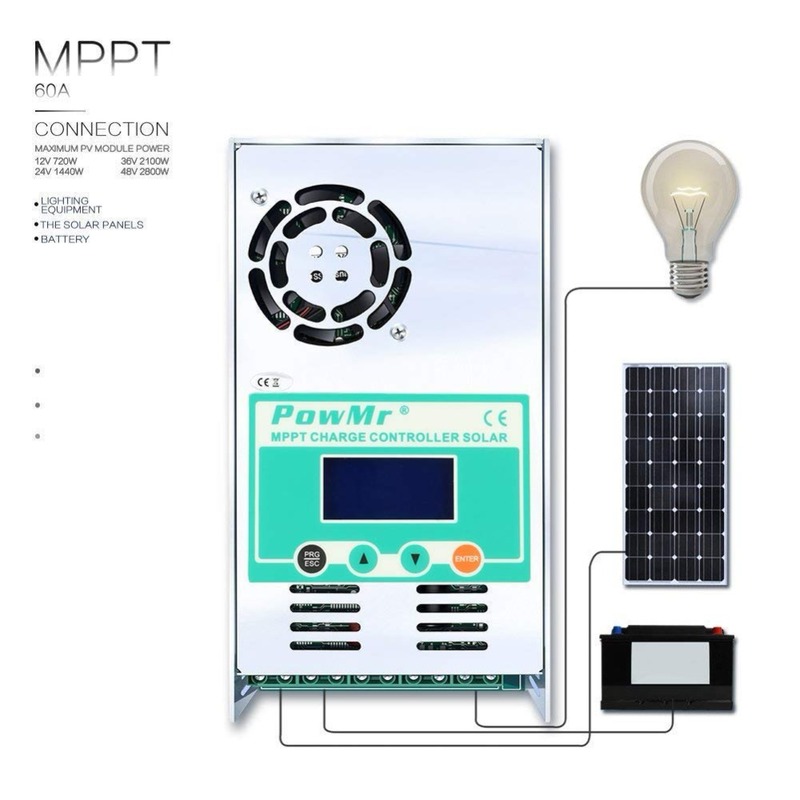 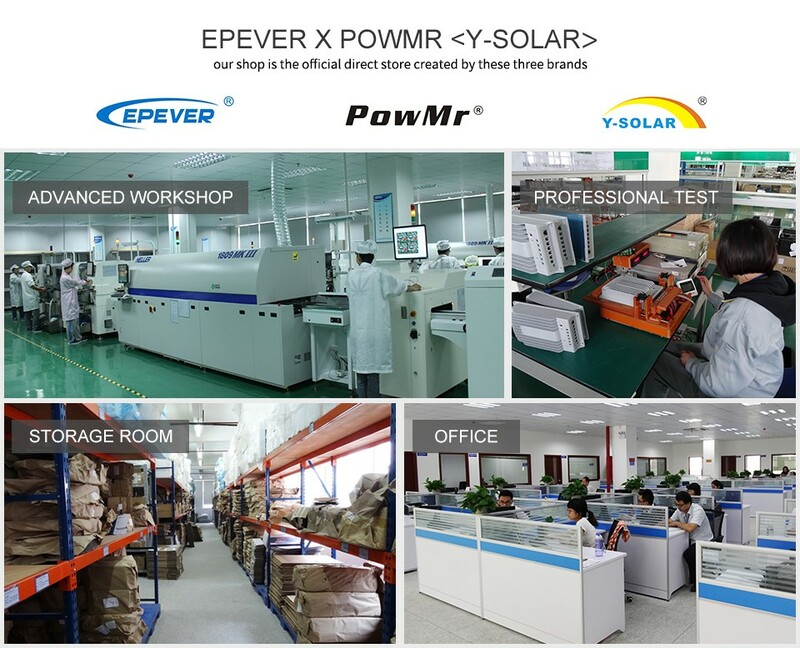 ❸Backlight LCD Dispaly PV voltage/output power/BAT voltage/charging current/working mode/Temperature and troubleshooting let you know how to correct it conveniently. 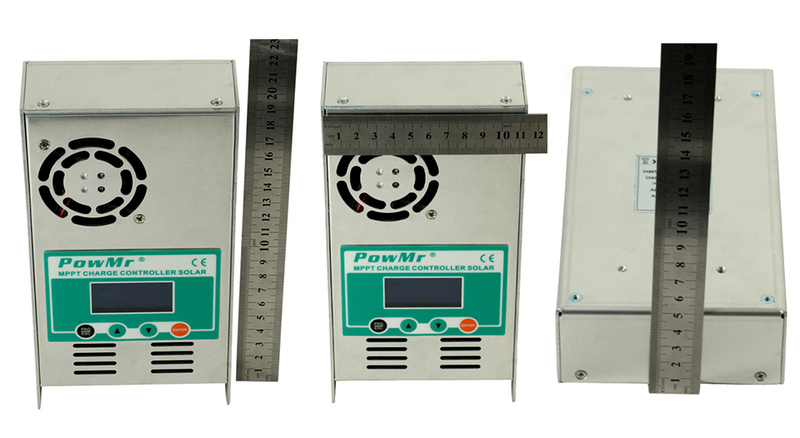 ❹Intelligence Fan-on temperature >45℃ and off < 40℃,Porous heat dissipation.and fan has UP TO 5000hrs Life in normal use.